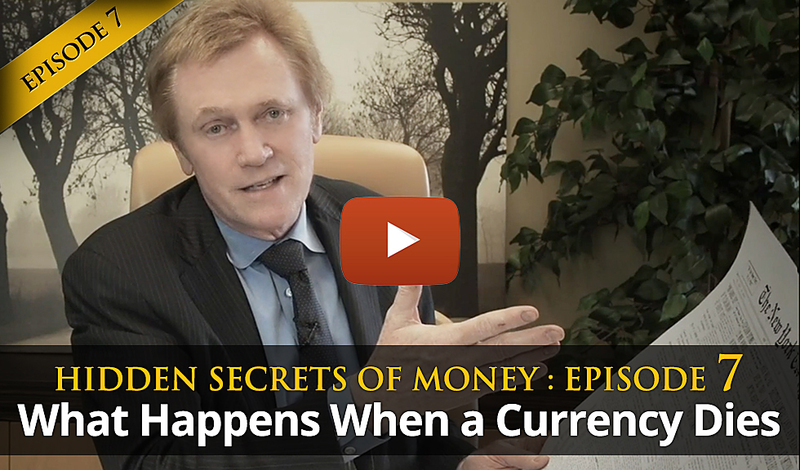 In Episode 7 of Hidden Secrets of Money, Mike Maloney glimpses into the near future to show you how fast the U.S. dollar and economy could collapse. 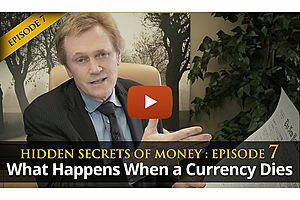 You’ll learn about the velocity of currency, a concept economists try to complicate but that is actually quite simple when you realize it has more to do with psychology than numbers. You’ll also see all the potential moves the Federal Reserve will attempt to prevent disaster and how they will all fail. Mike also takes you back to the 1920s to show you the astonishing parallels to today and what life could be like in the years ahead. He is joined by Jim Rickards and Rick Rule who provide further insights into the bond markets, currency creation, and of course precious metals. It’s only a matter of time before USA’s day of reckoning.